Since I'm sugar-free this month, a lot of my friends have been asking me if I had any dessert recipes lined up for this month. "Sure, sure," I waved them off. "I'm sure I'll find a nice sugar-free dessert or something." Well, it's day 10 into sugar-free month and nearly half way through February, and all I have to show are savory treats on my blog. Until now. 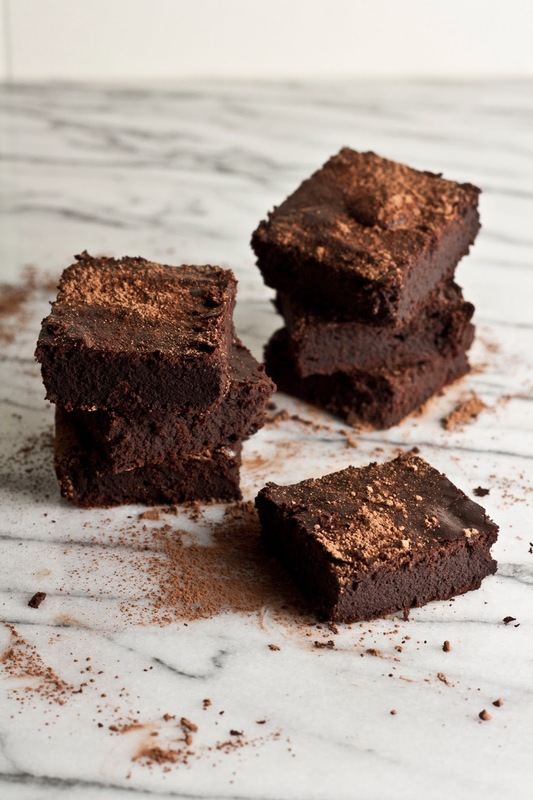 Folks, meet my first sugar-free dessert of the month — flourless mocha brownies! Is it possible to make a dessert without any sugar? Yes, but it's pretty damn difficult. Before I started this sugar-free challenge, I foolishly thought it would easy to find a somewhat appealing sugar-free dessert. Boy was I wrong. You know how diets come and go? It was Atkins in the late 90s, the Zone after that, and so on... well, it turns out sugar-free itself is a fad diet that's come and gone. 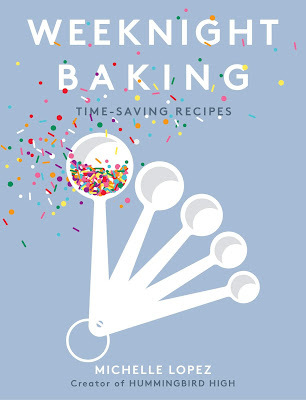 No one has sugar-free recipes anymore! At least, not any good looking ones. Now a days, the craze is all about being gluten-free or paleo. And maybe I should milk it? Perhaps this is where I'll find my unicorn: a good dessert that happens to be sugar-free. And so I was right. Behold my brownies. 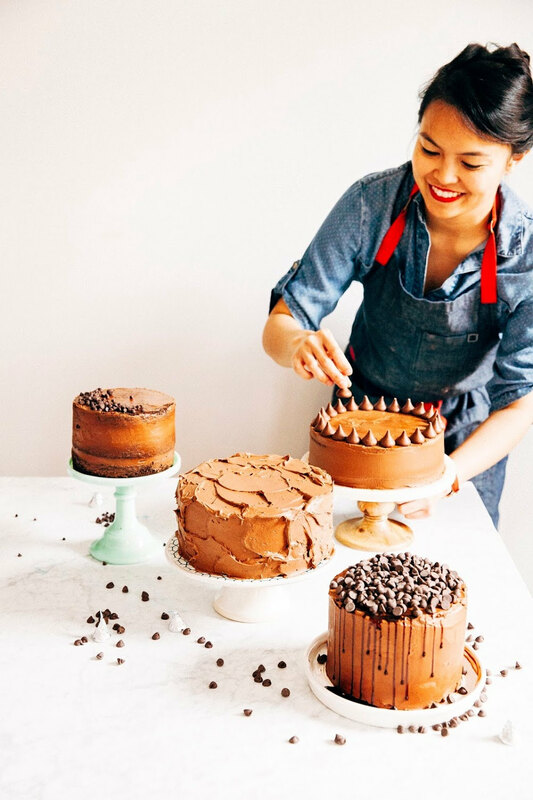 They are pretty on-trend: gluten-free, flourless, no refined sugar added, and paleo. 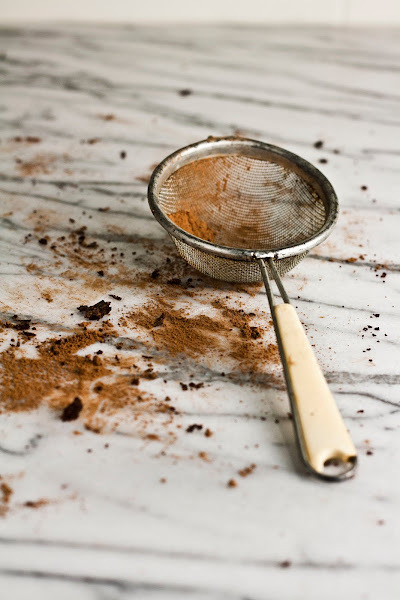 They've been adapted from Practical Paleo, a cookbook that I've had on my bookshelf for a while and dutifully ignored while baking the delicious, sugar- and white flour-filled treats you see on this blog. 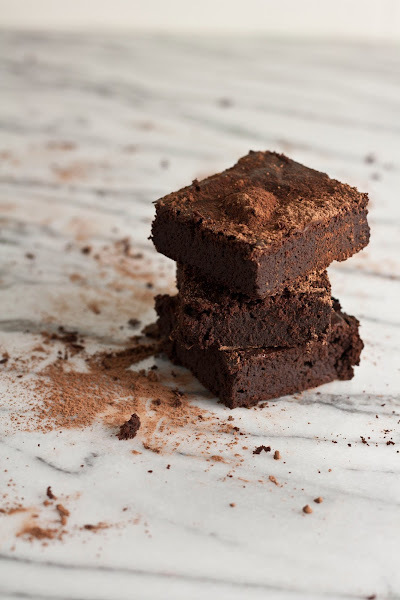 These brownies are basically the polar opposite of what I've made in the past, filled with natural sweeteners like maple syrup and coconut oil. Although these brownies might be one of the healthiest things on my blog, they taste almost exactly like flour-and-sugar filled brownies — dense, chewy, and chocolatey. Perfect with a scoop of ice cream or a glass of milk. Ah, sugar-free February. Trust me to pick a diet that's several years behind the trend. Oh well. I'm just another analog watch in a digital world? Or something. Eitherway, I can't wait until this month is over. Seriously. Preheat the oven to 375 (F). In a medium bowl, combine 4 oz. dark chocolate, 1/2 cup coconut oil, 1/2 cup maple syrup, and 3 eggs until well incorporated. Slowly sift 1/2 cup plus 2 tablespoons cocoa powder over the wet ingredients (from the second step), whisking it evenly until combined. Add 2 tablespoons strong coffee and 1 tablespoon espresso powder, using a rubber spatula to stir until well combined. Line your baking pan with parchment paper and spray with cooking spray. Fill the pan with the brownie batter (from the third step). Bake for 30 minutes, or until a toothpick in the center comes out completely clean. Let rest on a cooling rack for 10 minutes, before cutting into squares for serving. Oh my goodness you might have just made me a Valentines's hero! My boyfriend is doing the whole practically no carb no sugar deal right now (and for the past 6 months..) and as a baker-- it's torture. I can't find anything good to make him! But this just might work! Thank you! Yep, these brownies will do the trick! I highly suggest using 55% chocolate and making some coconut whipped cream to top the brownies off. 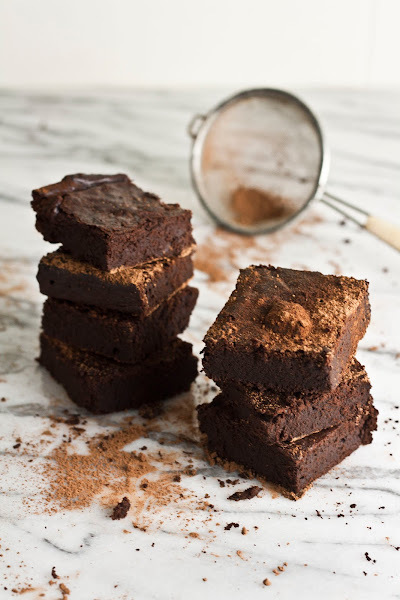 They're a little intense/chocolatey, and they definitely are more like a flourless chocolate souffle than a brownie. They're delicious though. Oh this diet is definitely not for me. Giving up sugar completely would make me crazy. These brownies look good even without the sugar. When you're ready to try something new, give the DASH diet a look. It's great for getting healthy. I'm doing a whole 30 right now so I can totally relate! 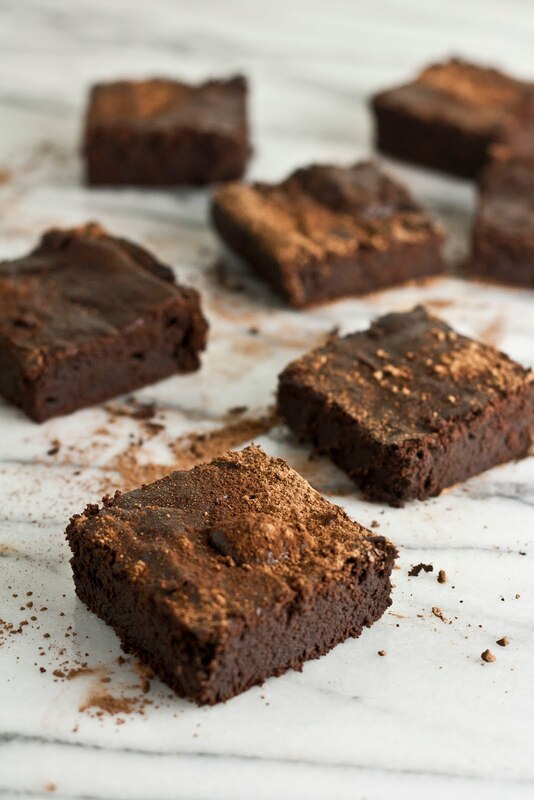 My cravings are mostly gone by now, so I can admire these brownies and not feel deprived. I have the practical paleo book and have wondered about that brownie recipe. Glad to know it's awesome! Oh wow! I thought about doing the Whole 30. How is it? I still get cravings like crazy, so sugar-free's not really working for me. I guess I meant refined sugar-free. Sorry about that. No I'm sorry, I thought when you said you were doing a sugar free month, it meant all sugar. Ever thought about doing a whole30? All sugar is way too intense for me — I am a dessert blogger after all! People keep recommending the Whole 30 to me, but I honestly don't know if I have the will power. Maybe next year, hahaha. Have you done one? although it might give a taste you're not looking for with brownies, have you thought of using apple juice concentrate for the 'sugar' in some sort of apple dessert...it works well and I used to use it for the sweet of apple pie--pretty tasty especially when one is needing something sweet and is used to a lower-sugar content. You sure had me fooled! Maple syrup is full of sugar! Please be more careful! There are plenty of sugar free recipes out there! I use Swerve Seetener-fabulous! Please do not say that it is sugar free when it clearly is not! sorry about the double entry!